This year instead of doing my favourites for the entire year and having a winner for a whole slew of categories like I have done the last two years I decided to keep it short and sweet. Here are my favourites from the past 12 months! 1) Make Up For Ever Aqua Liner in Black Diamond or shade 7. Fantastic unique shade, iron-wear time, easy to apply and soft applicator. 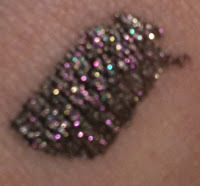 You can check out full reviews by clicking the names, but I love this liner. 2) Laura Mercier Oil-Free Tinted Moisturizer in my shade Porcelain. I like how light weight it is, the fact it doesn't cause my skin to go into melt-down mode and that it incluse SPF 20. An everyday staple for me. It's not perfect exactly but it's by far better than anything else I've tried. 3) Marcelle Hydra-C Ultra Thin Matifying Fluid. An everyday thing for me. Not only does this moisturizer have fantastic vitamins in it, it moisturizes well and keeps my skin matte all day long. It helps my skin heal itself faster than without and I never want to run out of this stuff. 4) Beaute Cosmetics Liqui-gel stain in Fever. I've not reviewed this yet but it really is a fantastic lip stain. Beautiful workable colour and long lasting. It has become my go to lip shade. Easy to leave as a slight tint or built up. Review to come soon hopefully! 5) Blinc Mascara. Yes, this is a tubing mascara in black but I must say tubing mascara changed my life. No flaking, no smudging, long lasting, cry-proof, sleep-proof, sweat-proof, pretty lashes. With my watery allergenic eyes this mascara has been a godsend. 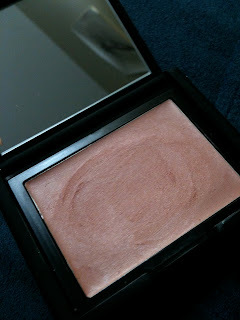 6) Nars Penny Lane Blush This is such a fantastic everyday cream blush. The formula on it is fairly unique in that it's cream to powder and it's never sticky or greasy. A wonderful neutral on my pale skin it tends to go with everything. 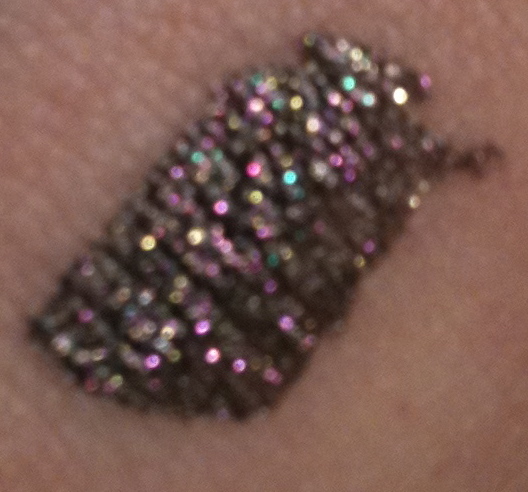 7) Nars Albatross Highlighter I only just received this but already I adore it. To be reviewed soon it's a wonderful glowy white-gold shade that when blended along the cheek bones creates the most stunning ethereal effect. My favourite highlighter yet! The only bronzer/blush I've ever used that has looked healthy and glowy on my fair skin rather than dirty. I honestly can't believe I haven't reviewed this! So subtle and perfect in the summer time. Now that I've realized my oversight it is in my review line-up! Another perfect summer shade! Gorgeous coral flush and it lasts so much longer than every other blush I've tried. Don't let the coloured plastic packaging fool you this is definetly a blush you can depend on. The best overnight moisturizer for my acne. Non-clogging, redness reducing and super hydrating the only downsides are the price and the fact it can feel a bit greasy in the morning. A miracle worker other than that though! 11) Haus of Gloi. This is for a company as Haus of Gloi has continued to impress me over the year whereas many other brands have fallen short. This vegan company always has consistently high quality products and amazing customer service. There Sugar scrub is a must for me in the shower and there perfumes are some of the only ones I've ever been able to wear and not have an allergic reaction too. Plus now they have an option were you can design your own personal perfume out of four notes among a list of options. Some of my favourites are Depravity, Hex, Brier Path, Litchi Milk Tea, Troika, Winter Divinity, Honeysuckle Lemon Curd, and Imp in no particular order. There pumpkin butter is an amazing moisturizing formula that is non-greasy and super moisturizing and like I mentioned there sugar scrub is my favourite scrub ever. 12) Indie Nail Polishes! (Special thanks to Pointless Cafe for permission for the photo use! P.S. 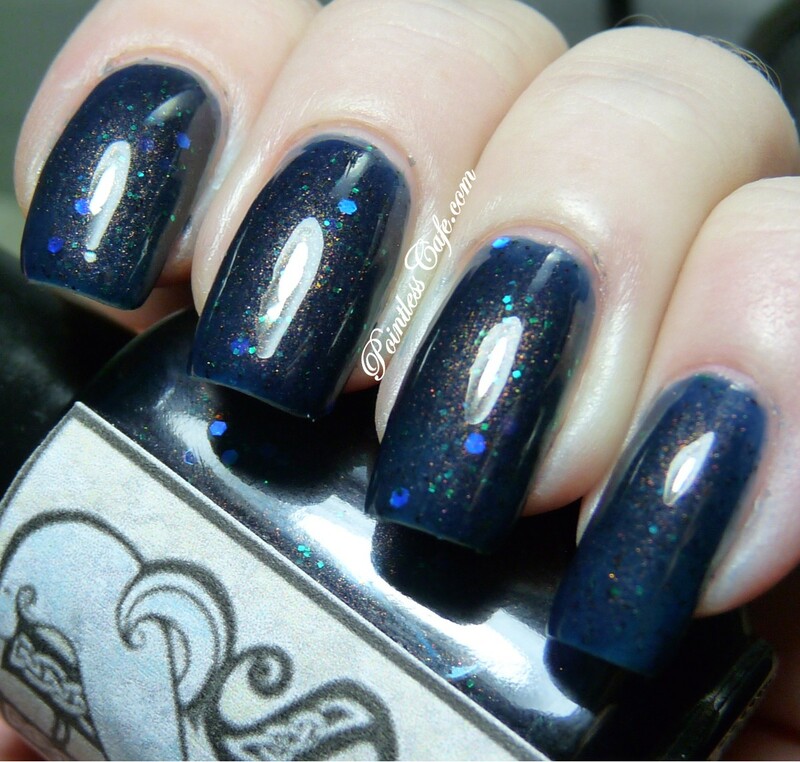 this is Underhill from Hebridean Sprite Beauty) I'm sort of cheating with this one, but I fell in love with so many indie nail polishes this year and started my own small indie nail polish company so I didn't feel I could leave it out! Not only was Hebridean Sprite Beauty Nail Polishes a working of the past six months, I found some wonderful nail polishes this year. Ozotic 533, A England St. George, Ascalon and Dragon were all amazing and Cult Nails is still the maker of my go to top and base coats. Plus there are so many other stand-outs! If you like unique polishes the indie polish world really is the place to go to. I find they tend to be more creative than ordinary polish lines.